Introducing two more books in the LITTLE EXPLORERS series, an interactive nonfiction series for curious youngsters. With more than 30 flaps, THE ANIMAL WORLD provides little ones with hands-on fun! 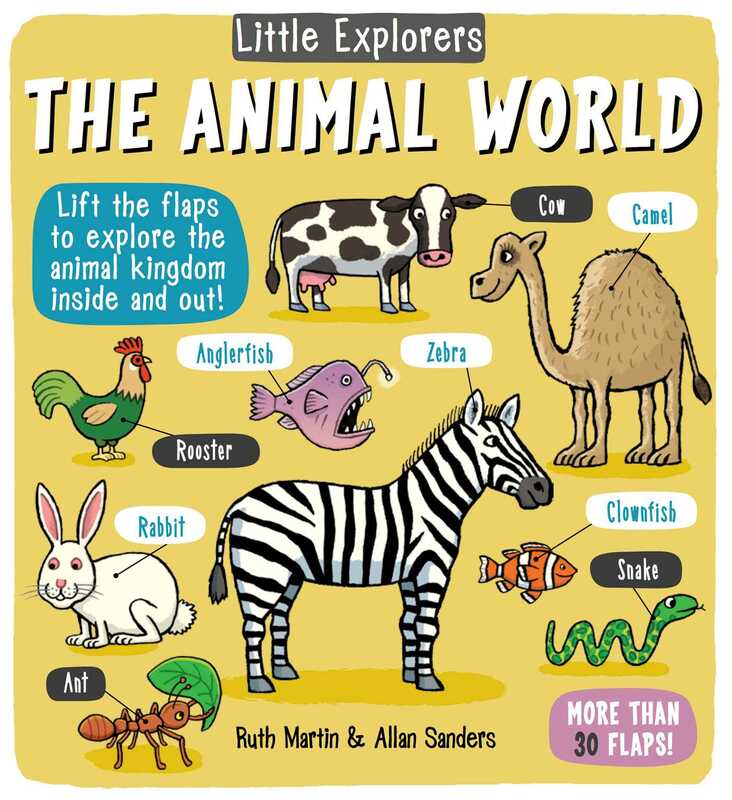 THE ANIMAL WORLD is a lively introduction to all types of animals, where children can lift the flaps to learn about all types of amazing animals and the environments they live in. Young readers will be amazed as they find out all about the fastest animals in the world, the rarest animals in the wild, animals living in the deepest parts of the ocean, and much, much more. This book features over 30 sturdy flaps to lift, along with charming, kid-friendly artwork that introduces new concepts and vocabulary in a simple and accessible way. Ruth Martin has been an editor and author of children's books for many years. She lives in South London with her husband and daughter.